Musselfeed has developed an industrial process for extracting valuable products from mussels. Mussels are very healthy food, due to their high quality protein content and omega-3/6 fatty acids. While transforming nutrients into mussel meat, they also improve our coastal water quality. Mussels are climate smart and comes from MSC-certified organic farms. We work together with cooperation partners who realize healthy and sustainable products. In the process the mussel meat is separated from the shell at an industrial scale. We offer a additive-free powder of mussel meat, mussel liquid and shells. The innovator behind the process is Dr. Odd Lindahl. 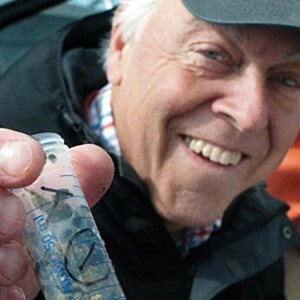 Dr. Lindahl is a world-authority in the field of large-scale marine farming of mussels for environmental purposes, with principal publications spanning over more than 40 years of research. He was leading the team that collected and analysed the first time-series data indicating a possible effect of climate change in Swedish costal waters. He was also one of the first to propose and practice Marine Nutrient Emission Trading through farming and harvesting of mussels. Blue Mussel Powder is used as an ingredient in food and feed applications. The powder we offer is a full fat product with high quality. It is an excellent component for food or feed products. It has a high content of essential amino acids as well as healthy marine fats. Our company is located on the West coast of Sweden. The food production is approved by The National Food Agency, Sweden. The feed production is approved by The Swedish Board of Agriculture. Musselfeed participates in the project Environmental Friendly Premium products – for increased competitiveness and better environment. It focuses on new innovative products in the poultry segment. 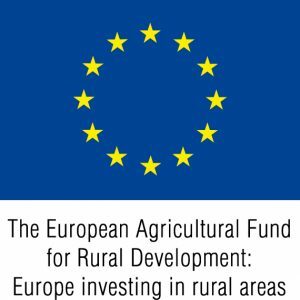 Swedish Board of Agriculture supports the project financially from the European Agricultural Fund for Rural Development. For feed applications it reduces the need for unsustainable sources such as fish- and soymeal. Mussels improve coastal water quality. The mussels graze naturally occurring phytoplankton, who uses nitrogen and phosphorous for their growth. A large part of those nutrients in coastal waters has its origin in agriculture and other human operations, which causes eutrophication. When harvested mussels recycle nutrients back to land. Therefore mussels can not only serve as a nutrition source, but can also improve coastal water quality.